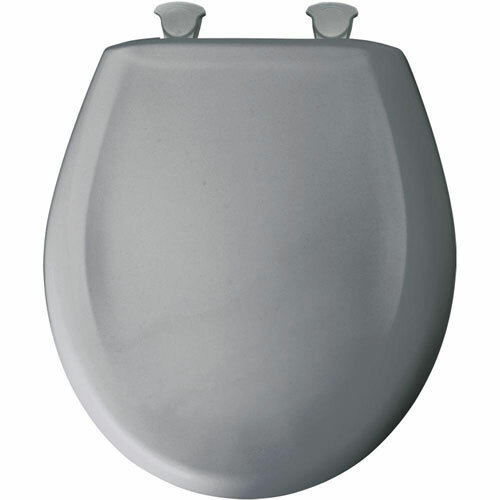 The Bemis Whisper-Close Round Closed Front Toilet Seat in Country Gray features durable plastic construction. The molded-in color that resists chips, stains and wear to provide enduring quality. This toilet seat includes the Easy-Clean and Change hinge for easy removal of the seat to provide access to those hard-to-reach spots for cleaning.